Here’s a new interesting product that came to our attention. This is a device that allows you to take creepshots of people using your iPhone. So if you ever wondered how to take good candid photos with your iOS device this may be a good solution. The device is called CupCupGo, when it was first reported to us it was unclear if the device has already been released or it is still a work in progress. We’ve covered a good number of different products on this website, but by far this is the most scandalous one, I mean who in the right mind would make something that allows you to infringe on people’s privacy, for example the advantage of someone’s loose clothing. It’s pretty obvious that women are going to be the primary target of people using this device. The creepers around the world are having a good year, considering that Texas gave card blanche to all the creepers in the state allowing them to snap pictures of women in public places without any legal repercussions. for me personally I would use it to record conversations I have with people, somehow it becomes very obvious that you recording a conversation when you put your phone on the table and keep looking at it, or maybe it’s just me. The device comes with a remote trigger that activates the camera inside the cup, it wasn’t explained if this activates the phone’s photo camera or video camera and it’s also not clear if the makers are going to be using a third-party trigger or a device similar to build themselves. So if a creeper wants to put the cup next to him on the beach he can just press the button once an unsuspecting victim passes by. So what do you think, is this just another innocent toy for your iPhone or a serious weapon in the hands of a creep or a pervert. The LifeProof iPod touch 4G case is a case made by LifeProof that is designed to be protected from all sorts of dangers, from shock to water. This case, like LifeProofs many other cases, will keep your device life-proof, no matter what life throws at it. Let’s see if it’s the iPod touch case for you. The iPod touch case made by LifeProof, unlike their iPhone cases, are not made in several colors, it is made in one black color. The case consists of three parts. The first is the front plate. This front plate black and includes a screen protector. The case does however have protected holes for the camera and microphone. The second part is the clear backing that seals the iPod inside. The entire backing is clear, allowing you to see the Apple logo and the iPod name on the back, which I think is pretty cool, I am a fan of see-through things. Again, the camera and microphone are protected but still usable. These two pieces snap together like two puzzle pieces and they stay together until the enough force is used to rip them apart. They will not open unless you open it with your hands. The third and final part is a small headphone jack protector that screws in. I have made it clear in the past that I do not like port protectors unless they are attached to the case. This one isn’t however, there is a pouch thing that fits on your headphones that you can put it on, which I think is a good idea. One concern I have pertaining to the color of the case is that it is only available in black. Therefore, if you’re the owner of a white iPod touch like me, you will now have a mostly black case with some white popping up around the holes, which to me looks a bit tacky. I am a fan of the color black, especially the very dark variants of it, so the dark color was not a bad choice if you have a black iPod touch, but it looks awkward with white iPod touches. The clear part on the back, like I said, looks really cool. The case is really well made and it will protect against falls of any kind, into anything. The case does make the iPod touch feel a bit wider and taller but that is to expected from any case. The case adds very little width to the iPod, which is good since the iPod touch 4G is acclaimed for being so thin. The screen protector is something that I see as flawless. I have gone through many store bought stand alone screen protectors and they were are to put on and they looks bad. The one on this case is as easy as putting the case on since it is attached to the case. Overall, despite the color mixmatch on the white iPod touches, the case does a good job in it’s form. Now on to the part you probably should care about more, at least in this product; and more specifically the question you want answered. Will this case truly protect my device from anything? The answer is yes. I have dropped my iPod with this case on with no damage to the iPod or case. I have water tested the case several times, each time showing not a drop of water seeping through. The LifeProof cases, in general, have a very good track record and have saved many devices, including my very own iPhone from destruction via water. The case has been taken into dirty areas, with again, not a single speck of dirt seeping through. I can guarantee that if you have this case on as soon as you get your iPod touch, a year later it will look exactly like it did when you first got it. The case not only protects your device, it preserves it as well, increasing the value of it down the road whenever you choose to sell your device, if you do. The case will protect against everything, falls, water, dirt, mud, snow etc. And now that you can use your device in these conditions, you won’t be afraid of using your device in these conditions. Dare to take pictures in rain or snow, or have your device in your pocket when you go in the mud. Your phone will survive a flood should you be unfortunate to be in one (prayers to Colorado). A side note, the volume buttons are now much easier to get to with the case on. Also, in case you are dying to have the iPod touch loop on your 4G iPod touch, this case does have a wrist strap, so now your iPod is even more attached to your hand. The case does an excellent job in protecting your iPod. There are a few downsides to it though. First, the case reduces the speaker volume. It also reduces the ability of the microphone to pick up sound significantly and the case has to be taken off for a FaceTime call. Second, the user has to use an adapter in order to use headphones and keep the device in the case. Third and finally, you can not put your iPod on a dock unless you purchase a separate $29.99 adapter from LifeProof. However, you can still plug in your iDevice with a cord and charge it that way. Overall, the functionality of the case is mostly positive but there are some concerns to be raised. First, I think that the price tag of the adapter should be dropped. There is no reason why it should cost anything if having the adapter is something that would prevent people complaining of something that is a necessity. Also, if the company is to continue making iPod touch 4 cases, I would recommend offering white colors as well. I do see that the iPod touch 5G cases do have all sorts of colors, definitely better than the offerings of the iPod touch 4G cases. The adapter can get lost, so I would recommend to the company that they build in a backup inside the case, or some sort of slot where the adapter can go on the case itself. In the past several months, I have seen the LifeProof brand mature into one of the most successful cases in the world. I have began to notice that more and more people have LifeProof cases. It is becoming a well-known and well-respected brand. Therefore I am sure that LifeProof is thankful that they are moving on from the fourth gen iPod touch because compared to their other cases, this is certainly not their best. 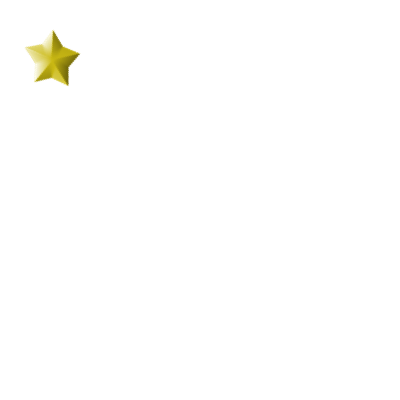 This case gets 3 stars from me. 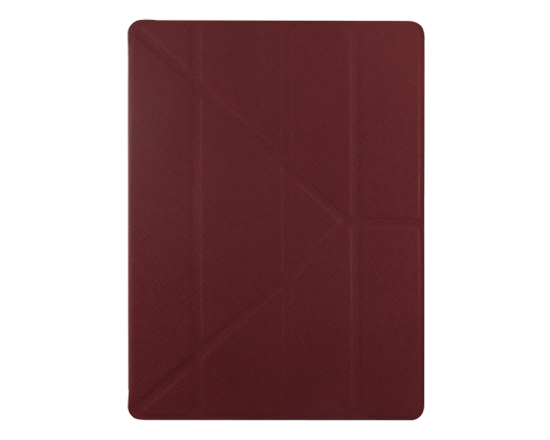 The Onanoff Leather Skin for 13 inch MacBook Air is a leather skin of any color of your choosing for the MacBook Air. It is available from Onanoff for $59.95. Let’s see if it’s the choice for you. The form is a failure. First off, I do want to say that I appreciate the fact that the product comes in many different colors but I would have liked to have seen more designs and perhaps the ability to add your own image on it. That would be better than plain colors. I had much difficulty applying the sticky surface to the MacBook due to the many bubbles that would rise each time I tried to put it on there. When I felt I had the time where I had the most bubbles out, I stopped trying to get each little bubble out. These, however, just don’t look good and no matter how hard I tried, I could not get every bubble out. In addition to that, the cover was wrinkled and just didn’t look good at the end result. I then moved on to the screen protector and that was an even worse case scenario. I tried to apply it but I could not get the bubbles out and when I had the backlight on, it looked like a mess. I took it off and put it aside. Later, I tried the back cover and that part actually came on correctly, little problems here. The palm rest, again, a different story. I had issues putting it on and the wrinkles and the bubbles were there again. Finally, I put on the Apple logo protector and it looked awkward. It too was taken off immediately. By the end, it looked like a mess. It just did not cut it for me. I took the pieces off and put the case I had on it before back on again. 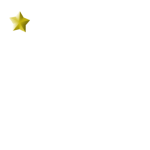 I did something I have never done in the past with reviewed products, I threw it away. When the product was on my MacBook it looked clunky, poorly made, poorly put together and just didn’t work. There was no way I could keep it on my MacBook so I just went back to my Steve Jobs decals and called it a day. Again, the product does not excel here either. First off, installation was not simple as it’s website claims it is. Sure, it was only four parts but each part had to be put on and off and on again until you got the most bubbles out and then you ended up with a mess. Second, don’t expect the product to protect against anything but minor scratches. 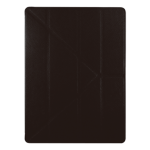 There are other cases that are cheaper that can do a better job protecting your MacBook Air. If you have other decals on your MacBook, apply extreme caution should you take the product off or the decal will come with it. It does not protect, it has a difficult installation process and it has a high price, not my pick in MacBook cases. I always strive to give companies my God-to-honest opinion on products and I truly believe that Onanoff should end production for this product. If I threw it away, I think they should too. Obviously, this product is not on the top of my list. Never before had I thrown away a free product until that one. Though I did come close once before, this was the first time I actually put it in the can on the side of the house. Honestly, the company should do the same. That’s not to say that all the other companies products belong there, in fact many other products of theirs actually look like great products. Please keep in mind that this is a review of a product not a company. 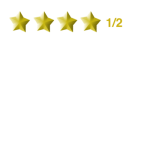 However, this particular product gets a one star from me and even that is being generous. Please discard this product, Onanoff, for your company name is what this product represented, “on” my MacBook “an” then “off” my MacBook for good. The Ozaki iCoat Slim-Y is a slim lightweight-profiled folio case for the iPad 2, iPad 3 and iPad 4 (who calls the iPads by their real names? I don’t). The case is available from Ozaki for a steep price of $79.99. Let’s see if it is worth it’s hole in your wallet price tag. First off, the case is thin. It’s slim, it says it in the name. It adds about 1-2 mm in thickness to the iPad, which you know is already very thin. The case is also light as a result. This provides more comfort when holding the case. 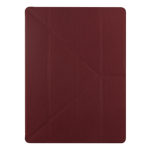 The case comes in black, white, brown, and red(other variations of this case like the Slim-Y or ++ have other colors). The front cover of the case is a very thin Apple Smart Cover like cover but is built quite a bit stronger than it, at least in terms of material. 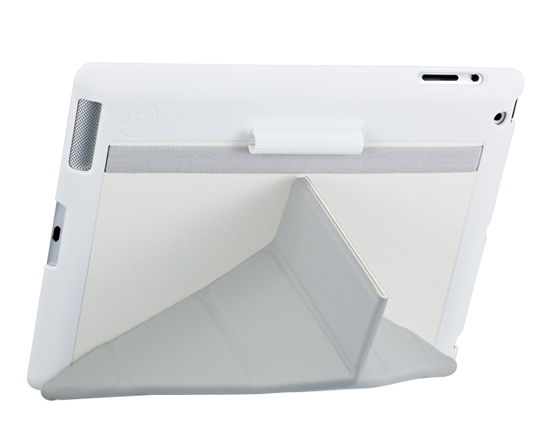 On the back the case gets harder and provides a good layer of protection for the iPad. All the ports are easily accessible but not so much where they can be accidentally damaged. The material on the case adds to it’s comfort. The stand is quite unique and I enjoy it a lot. 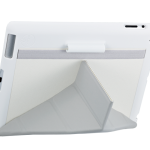 It is an origami stand that allows for different positions without having to slide the cover into a slot. Very useful. Overall, the aesthetic is clean and well thought out. The primary function of a case is to protect your device. This case does exactly that. What’s impressive about this case is how much little space it takes up and still protects the iPad well. The case doesn’t sacrifice thinness for protection or vice versa, it has both. The magnets are strong enough to catch. I have never had a problem with the case accidentally opening and having the battery drain. The case has a unique stand that allows to stand in different positions. It uses the origami stand and I have found it to be the best way to add a stand on a case and I think that other case companies should add it to their cases. The sleep/wake function works every time and I have never had a problem with it. All the ports are protected enough but not protected too much to where we can’t access them. I think that some may complain about the price, but it is a great value since it is thin yet protective. -Price may be a bit high for some. At this time, the only way to improve would be to decrease the price a little to make this great case available to more people. This is a well-made solid case. It is definitely one of my favorites. I will continue using this case in the future. 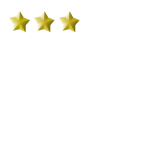 Obviously, this case earns five stars form me! 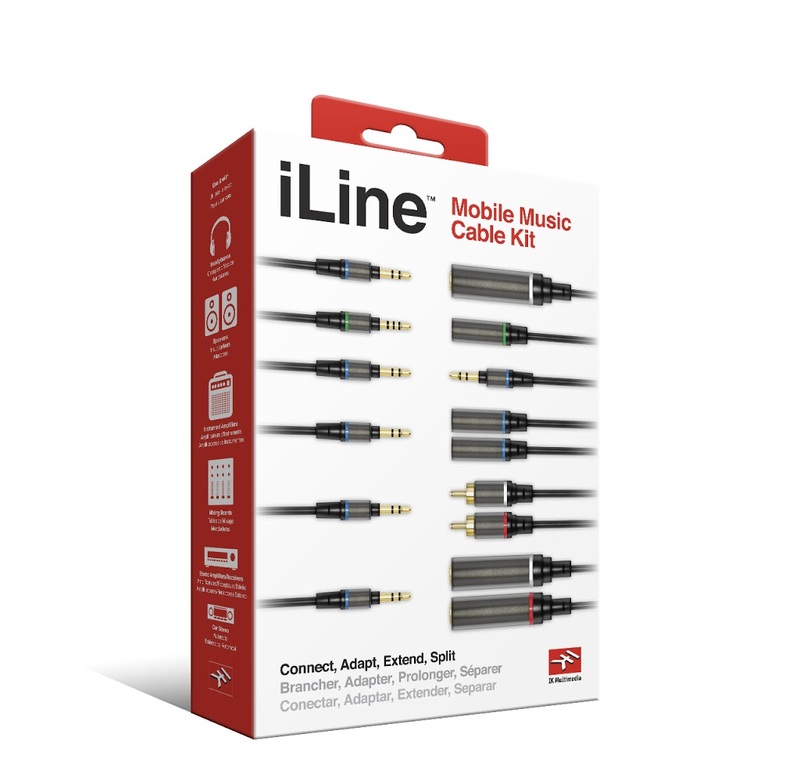 The iLine Mobile Music Cable Kit is a set of six very useful musician’s cables. 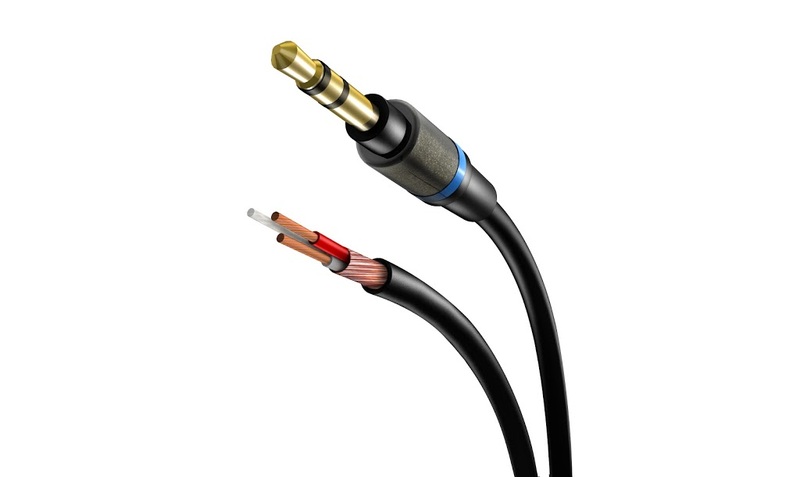 The cables include a mono output adapter, an input output extension, a standard stereo aux cable, a 3.5mm stereo headphone splitter, an RCA output adapter, and a mono output splitter. It also includes a toolbag-like bag to carry all the wires in. The bag is rollable allowing for easy storage. Many musicians have had the pain of losing or missing most if not all of the cables included and this “Swiss Army Knife” of music cables is sure to please any musician. 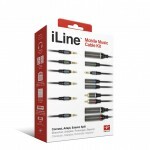 The cable set is sold by IK Multimedia for $59.99, less money than what you would pay for one of these wires elsewhere. Let’s see if this pack of cables are for you musicians out there. There is not much to say about the aesthetics of these cables, since the aesthetics don’t matter as much as how they work but I will mention a few things. First, the cables are color coded for your convenience, that way, once you learn the colors, you know which cable are which with just a glance. Second, the cable are made well. I don’t think they will fray for some time. Third, the carrying case that comes with it is cheaply made but it does the job, it stores all the wires and it rolls up so you can store it easily. Fourth, the tips of the cables are plated in 24K gold to prevent corrosion and improve sound quality, which it does well. Overall, the aesthetic of the cables is excellent. The iLine cables have great quality. The sound is either not hindered by the wires or benefits from the wires. 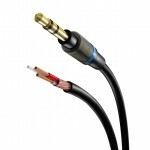 These wires that every musician should have in his or her arsenal. These cables are not cheap junk that come with cheap junk that you buy off of China Wholesale, these cables are high quality. This is signified by the use of high quality gold plating and high quality, very pure copper used inside it. I also appreciate the balance of Mono and stereo cables. These cables compliment the other products that IK Multimedia sells so if you have their other products, I would recommend these cables. But even if you don’t these cables still come in handy. I would have liked to have seen some cables a bit longer, especially the Mono Output Adapter, but for your average musician who has everything packed together in a tight space, it is no big deal. Overall this a great pack of cables. Overall, these are great cables and I can highly recommend them to any musician who finds themselves without cables when they are needed. 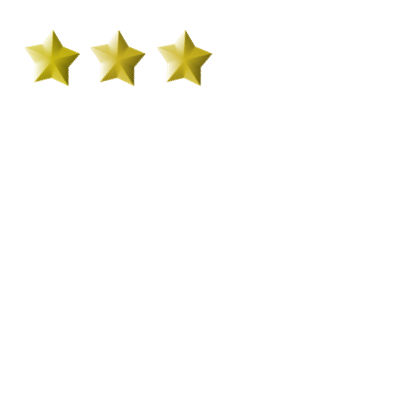 This “Swiss Army” Cable pack receives 4 and a half stars from me.